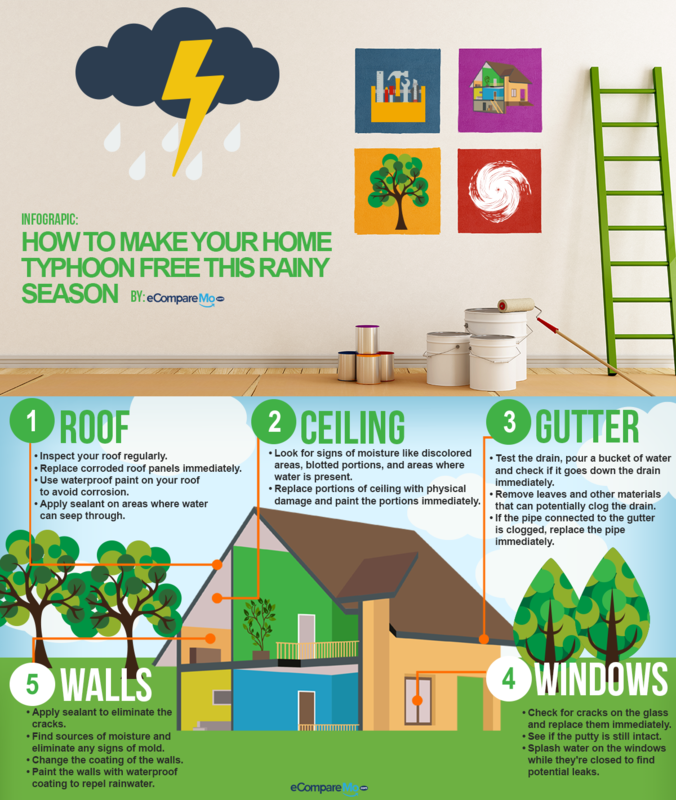 INFOGRAPHIC: How to Make Your Home Typhoon Free This Rainy Season? Your house is your first and only line of defense against the inclement weather, especially during storms that annually pummel our country. When you have a poorly reinforced home, you are not only putting you and your family at risk; you are also prone to more financial losses due to damages in your home. How can you make sure that your home is secured enough to take a beating?